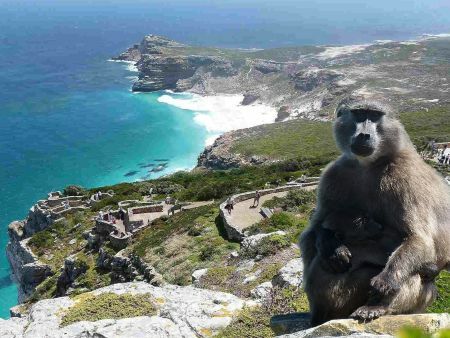 The tour commences at 8:30. 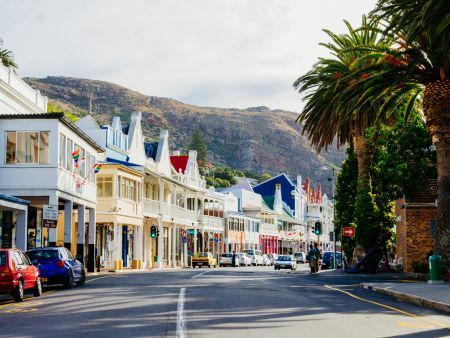 We travel along the Atlantic Seaboard via Sea Point, Clifton and Camps Bay, stopping at a Llandudno look-out point before continuing to Hout Bay, a quaint village and fishing harbour with magnificent mountain views and beach. 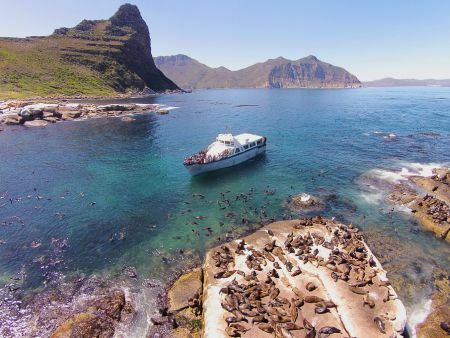 Optional: Seal Island boat trip. 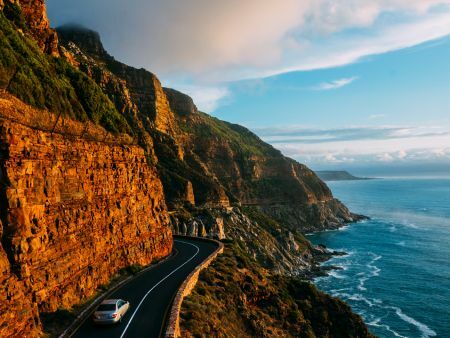 On through Chapman’s Peak, one of the world’s most breathtaking coastal drives, to Cape Point and the Good Hope Nature Reserve, which has magnificent fynbos vegetation, birdlife, endemic antelope species and zebra, historic lighthouses and shipwrecks. 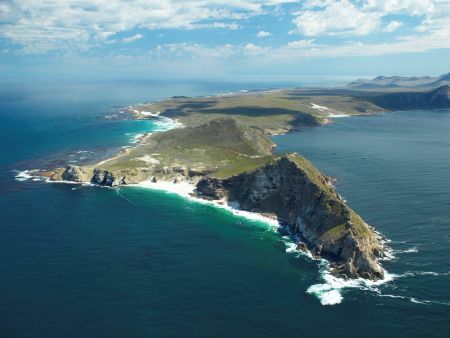 Cape Point is perceived to be the meeting point of the Atlantic and Indian Oceans. 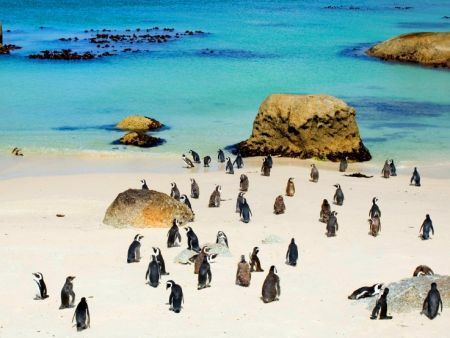 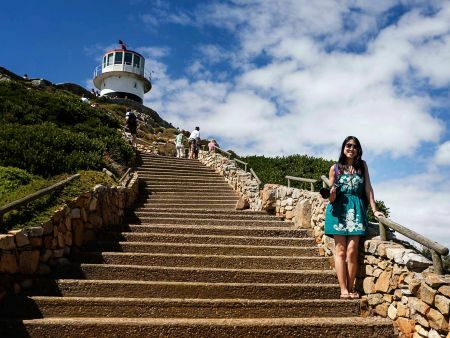 After lunch at Cape Point (for your own account), we go on to historic Simon’s Town, a village with charming Victorian architecture, a naval base and a large penguin colony at the beautiful Boulders Beach. 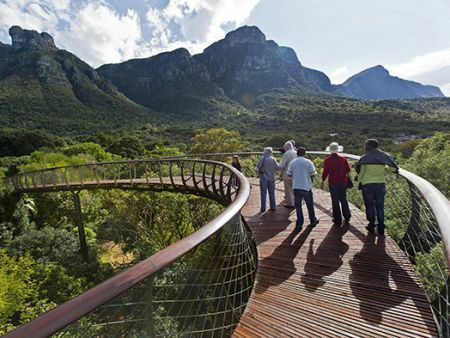 The tour ends at ± 17:30 after an optional visit to the well-known Kirstenbosch Botanical Gardens.